The National Gallery is justifying its display of the controversial Salvator Mundi painting in its 2011-12 Leonardo exhibition, following critical comments in a new book by Ben Lewis. In The Last Leonardo, Lewis questions the attributional process and says that some specialists believe that it was partly painted by the master’s assistants. He also points out that the National Gallery’s presentation of it as a full Leonardo was used by Christie’s, when in 2017 the auction house sold the painting for $450m. A National Gallery spokeswoman says that when considering any loan request, “it weighs up the advantage in including it—the benefit to the public in seeing the work, the advantage to the argument and scholarship of the exhibition as a whole”. With the Leonardo exhibition, the gallery felt it would be of great interest to include the newly discovered Salvator Mundi, “as it was an important opportunity to test a new attribution by direct comparison with works universally accepted as Leonardo’s”. In Lewis’s book, which will be published on Thursday and was serialised by The Times newspaper, he questions the procedure adopted by the National Gallery to determine the attribution. This was led by Luke Syson, the gallery’s curator of pre-1600 Italian paintings, the head of research and the curator of the Leonardo exhibition. Christie’s, in its catalogue for the 15 November 2017 auction, began by describing “the dramatic unveiling” of the Salvator Mundi in the National Gallery exhibition. 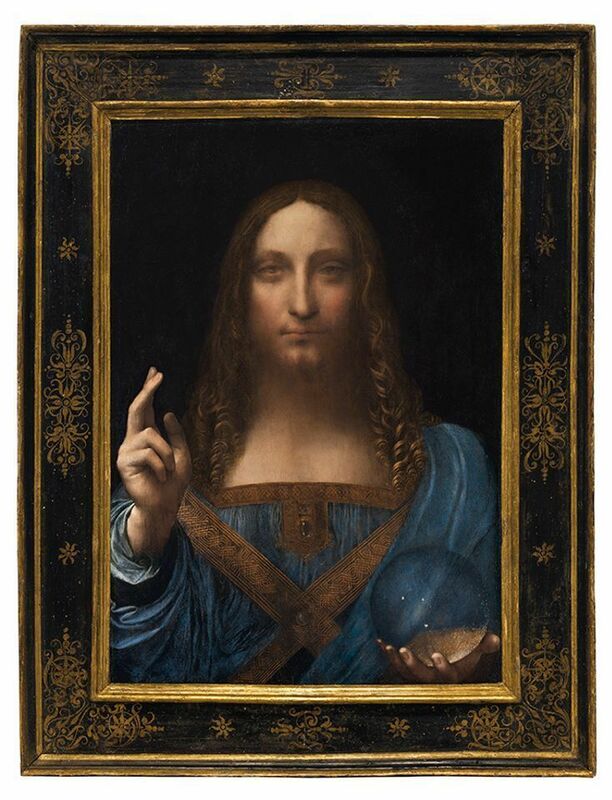 The auction house then goes on to refer to the May 2008 gathering of specialists, which led to “a broad consensus that the Salvator Mundi was painted by Leonardo”, and is “an autograph work”. This judgement meant that Christie’s was able to sell the work as a full Leonardo, dating to around 1500. Without this firm attribution, it would have been impossible to achieve anything like the eventual price of $450m—making it by far the most expensive artwork ever sold. Lewis himself believes that the Salvator Mundi is not an autograph work. He see it as “a workshop painting which Leonardo supervised and to which he added the finishing touches”. The new owner after the auction was Abu Dhabi, which acquired it for the recently opened Louvre Abu Dhabi. The Salvator Mundi was due to go on display last September, but the government’s Department of Culture and Tourism then announced “the postponement of the unveiling of Leonardo da Vinci’s Salvator Mundi”, promising that further details would be announced “soon”. More than seven months later, there has been no further news. Despite Lewis’s excellent detective work, the disappearance of the world’s most expensive painting is a mystery which ultimately eluded him.